Based on Jim Al Khalili's interviews for BBC Radio 4's hugely popular series, The Life Scientific: Explorers takes science out of its box and introduces us to the men and women who make it happen. The explorers featured in this volume include: Michele Dougherty, the mathematician who persuaded the Cassini mission to Saturn to make a diversion; Richard Fortey on his love of trilobites; Monica Grady, Meteorite Lady; neurosurgeon Henry Marsh on slicing through our thoughts; the Director of the British Antarctic Survey, Jane Francis; Brian Cox on quantum mechanics; and Nobel Prize winner John Sulston on why he thought it would be a good idea to sequence the human genome. Professor Lucie Green joins this impressive list of scientists with a contribution about the Mullard Space Science Laboratory, its involvement in the early days of British Space exploration and the work of the engineers and scientists involved. “The Life Scientific has been hugely important in showing people what a career in science can involve. It is the “behind the scenes” look at our everyday lives. For me, I was so pleased to be able to talk not only about the science I do, but also the ways that research can be made accessible to different audiences beyond academia," said Professor Green. The Life Scientific has a weekly average of 2 million listeners. It consistently gets the best audience appreciation scores in surveys across the whole of BBC Radio 4 as well as favourable press. Each book in the series will follow the winning formula of the radio programme, with a unique mix of the personal and the scientific. Each chapter focuses on a leading scientist and what inspires and motivates them, and what their discoveries might mean for mankind. 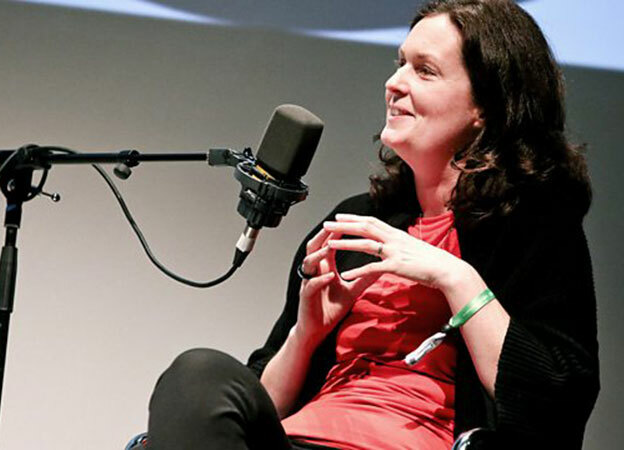 Anna Buckley is the series producer of The Life Scientific and has made more than seventy episodes of the programme since its inception. “I am so proud of what The Life Scientific has achieved and hope this book will inspire the next generation of scientists to pursue their passions undeterred”.